My little toy camel Camella followed me home from Dubai back in 2013. But I did remember seeing another toy camel there, and I was pretty sure that her name was Camelia, and that she had more of a pink "My Little Pony" styling. 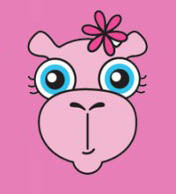 Going by product annoucements, she was born December 7th, 2010[b], and is "the lead camel in the region." So: Japan has Hello Kitty, we have My Little Pony - and Dubai has Camella.